For more than thirty years, Mr. Reid’s legal practice has focused on the litigation, arbitration and mediation of complex construction and business disputes. He has extensive experience in the drafting and negotiation of construction and other procurement contracts including engineering agreements, architectural service agreements, general contracts, subcontracts, construction management agreements, telecommunication service contracts, and equipment purchase agreements. His construction claims and contracting experience has related to a wide variety of commercial projects including high-rise office structures, hospitals, hotels, shopping centers, wastewater treatment plants, schools, courthouses, performing arts facilities, and sports arenas. Additionally, Mr Reid has substantial experience with both single-family and multi-family residential projects. 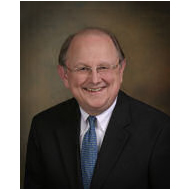 Mr. Reid has lectured extensively on construction contracting and claims issues for a wide variety of educational institutions, trade associations, and private corporations. Many of these presentations have focused on the mediation and arbitration process and on strategies which are conducive to the economical resolution of disputes.